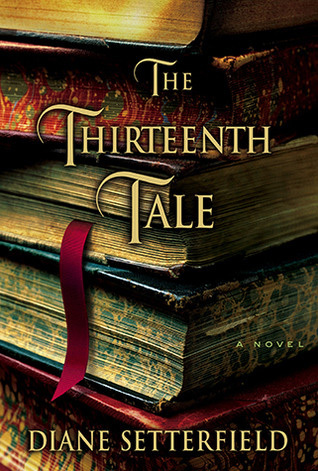 When I mentioned to a friend that I was reading Diane Setterfield’s The Thirteenth Tale, she was surprised it was new to me. It is, after all, a book for booklovers and a mystery, two aspects I find appealing. There is also a sense of the gothic, which typically doesn’t grab me. Yet, I had trouble putting the book down. This story within a story is compelling on many levels. There’s Margaret Lea, a reclusive woman whose companions are the books in her father’s antiquarian bookshop. Although close to her father, her mother is distant, practically absent from family life. Margaret had a twin sister who died at birth, an event from which Mrs. Lea never recovered. Margaret receives a letter from Vida Winter, considered one of Britain’s most prolific and beloved authors. Despite her popularity, Vida has creatively maintained her privacy. However, in poor health she summons Margaret to write her biography. In the process, dark secrets emerge. Each character is transformed through the story telling. Margaret becomes softer as she learns about Vida’s mysterious and startling past. Vida, whose strength diminishes day by day also begins to demonstrate warmth and concern. The more Vida reveals about herself and her dysfunctional family (long before the term was coined), the more engrossing the tale becomes. Vida tells about the twin sisters, Adeline and Emmaline, and just when the reader is certain to have determined who is who and what is what, Setterfield adds more ingredients into the tantalizing mix.